Creator of Moomin, hugger of cats. Jean Cocteau (author, artist, filmmaker) founded Club des amis des chats (The club of cat friends). 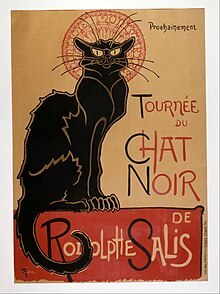 Théophile Alexandre Steinlen (November 10, 1859 – December 13, 1923), cat-lover and artist.